OSM has released its newly re-proposed Stream Protection Rule and accompanying Draft Environmental Impact Statement and Regulatory Impact Assessment. Links to the documents may be found here. Once published in the federal register, the public will have 60 days to comment. The predecessor to this rule, the Stream Buffer Zone rule, was issued in 1983. In 1999, a federal judge in West Virginia relied on the Buffer Zone rule to declare that excess spoil valley fills were outlawed by SMCRA. That ruling was later vacated on jurisdictional grounds, but uncertainty and disagreements over the role of the rule persisted. A brief discussion of the history of the rule and litigation over its import may be found here. An earlier effort by OSM to revise the rule was met with outrage in the coal fields when leaks from OSMs EIS suggested that the draft rule would have profound impacts on the ability to mine coal in the east. OSMs explanation for its actions is set out here.  First, the proposed rule defines the term material damage to the hydrologic balance outside the permit area and requires that each permit establish the point at which adverse mining-related impacts on groundwater and surface water reach an unacceptable level; i.e., the point at which adverse impacts from mining would cause material damage to the hydrologic balance outside the permit area.  Second, the proposed rule sets forth how to collect adequate premining data about the site of the proposed mining operation and adjacent areas to establish a comprehensive baseline that will facilitate evaluation of the effects of mining operations.  Third, the proposed rule outlines how to conduct effective, comprehensive monitoring of groundwater and surface water during and after both mining and reclamation and during the revegetation responsibility period to provide real-time information documenting mining-related changes in water quality and quantity. Similarly, the proposed rule addresses the need to require monitoring of the biological condition of streams during and after mining and reclamation to evaluate changes in aquatic life. Proper monitoring would enable timely detection of any adverse trends and allow timely implementation of any necessary corrective measures. 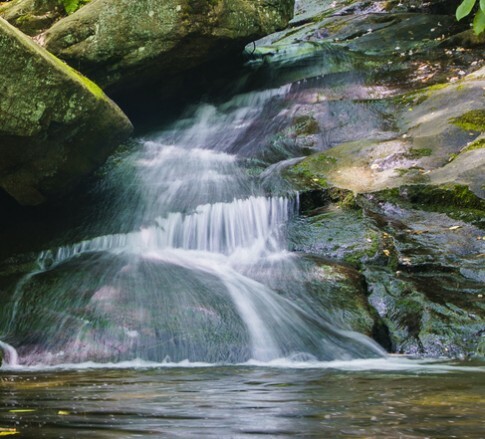  Fourth, the proposed rule promotes the protection or restoration of perennial and intermittent streams and related resources, especially the headwater streams that are critical to maintaining the ecological health and productivity of downstream waters.  Fifth, the proposed rule is intended to ensure that permittees and regulatory authorities make use of advances in information, technology, science, and methodologies related to surface and groundwater hydrology, surface-runoff management, stream restoration, soils, and revegetation, all of which relate directly or indirectly to protection of water resources.  Sixth, the proposed rule is intended to ensure that land disturbed by surface coal mining operations is restored to a condition capable of supporting the uses that it was capable of supporting before mining. Soil characteristics and the degree and type of revegetation have a significant impact on surface-water runoff quantity and quality as well as on aquatic life and the terrestrial ecosystems dependent upon perennial and intermittent streams. The proposed rule also would require revegetation of reclaimed minesites with native species unless and until a conflicting postmining land use, such as intensive agriculture, is implemented.  Seventh, the proposed rule would update and codify requirements and procedures to protect threatened and endangered species and designated critical habitat under the Endangered Species Act of 1973.3 It also would better explain how the fish and wildlife protection and enhancement provisions of SMCRA should be implemented.